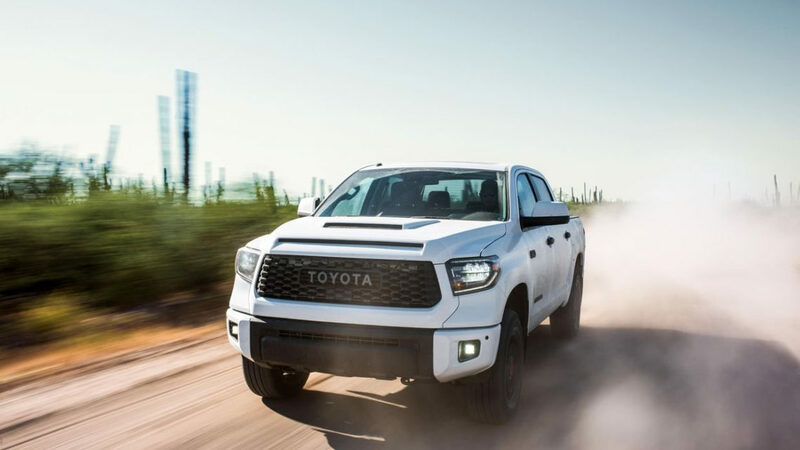 The first look at the major refreshment for the 2020 Toyota Tundra pickup truck is finally here. The prototype was caught on tape, on one of the test drives in Ann Arbor, Michigan. The new For F-150 accompanied it, and it should not come as a surprise that Toyota wants to benchmark the truck that leads all vehicles in the class. Take into account the rather intriguing and strange camouflage covering the Tundra, as it looks like there might be more in question than a simple redesign. Look at the rear axle for example. The Toyota engineers covered it with low-hanging fabric so that we cannot really see what is going on there. Also, the F-150 parked in the way to block the photographer’s view. Toyota obviously has something important they wish to hide when it comes to the back part of their new truck. We do not think it is anything radical like an independent suspension. Some photos reveal mounting points that serve to absorb shock. They look typical for a solid rear axle, so Toyota may have some new air-ride components present on the truck. When it comes to the rest of the truck, a rather significant makeover is in order. The front clip will surely be completely new. For now, the heavy camo prevents us from any more details. The face should still be the familiar Tundra look fans have grown to love, with an oversized grille and a pair of smaller headlights. A large single horizontal bar will be in the middle, replacing the multi-bar arrangement the current model sports. The bed receives some new sculpting magic, and there will almost certainly be a new tailgate. So far, most changes are skin-deep, and it is expected that the new Tundra will retain its current skeleton and cab. The interior will surely get a new makeover with new and additional tech options. Powertrain updates were not mentioned yet, but a new 10-speed automatic may be an option. In addition, some minor power upgrades might also come under the hood. 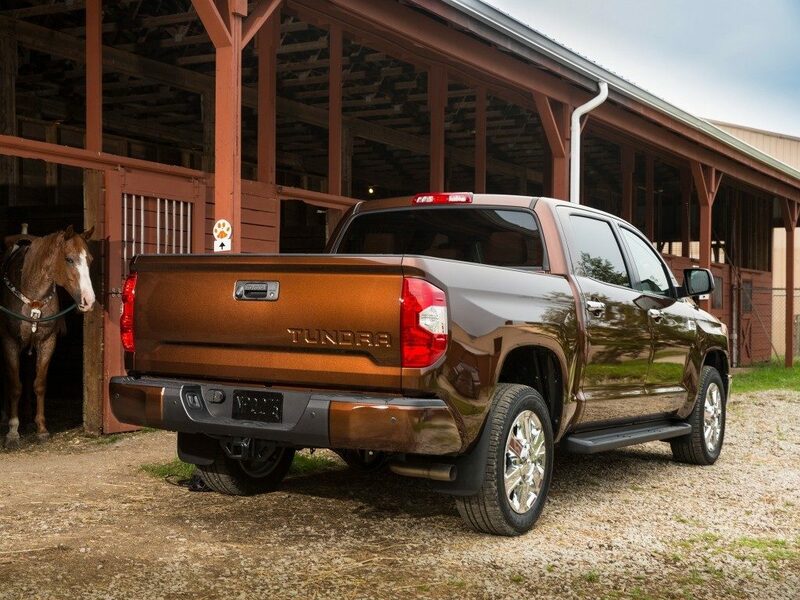 Since this has been the only the first look of the fresh new Tundra, a full reveal is bound to come later in the year. We think that late summer or early fall is the targeted period for the long-awaited debut.